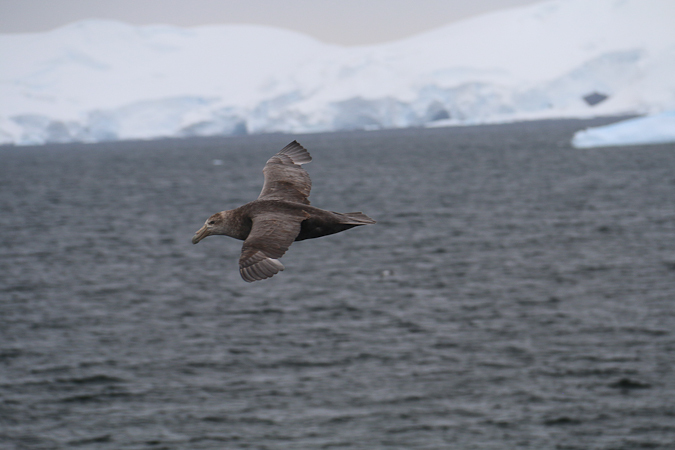 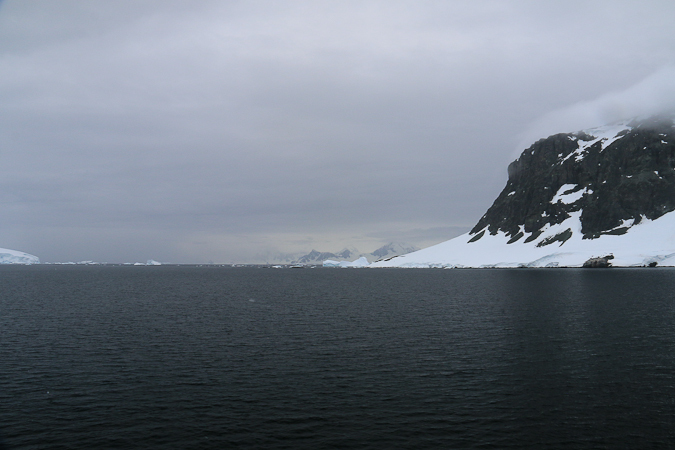 After lunch we started making our way northward, heading up the Gerlach Strait between the Antarctic Peninsula and Anvers and Brabant Islands as a big step in our journey back to South America. 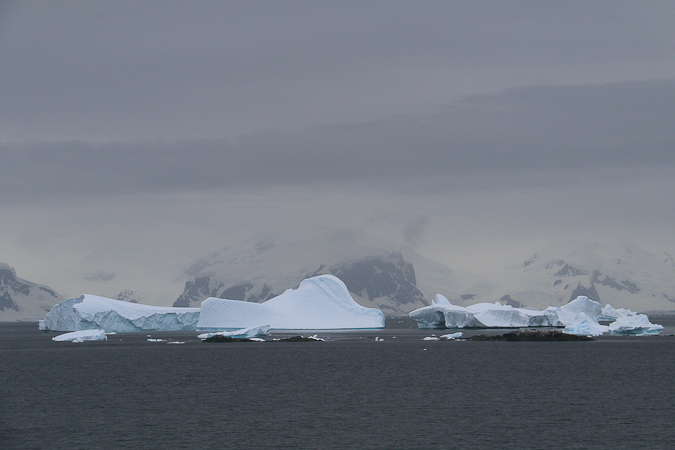 The weather wasn’t the best — overcast and a bit windy — but this helped to remind us how bleak it can be (even though we knew this is nowhere near as bad as it can get). 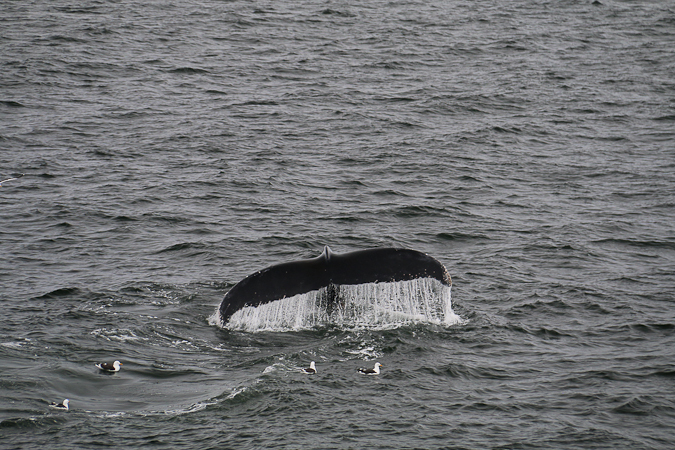 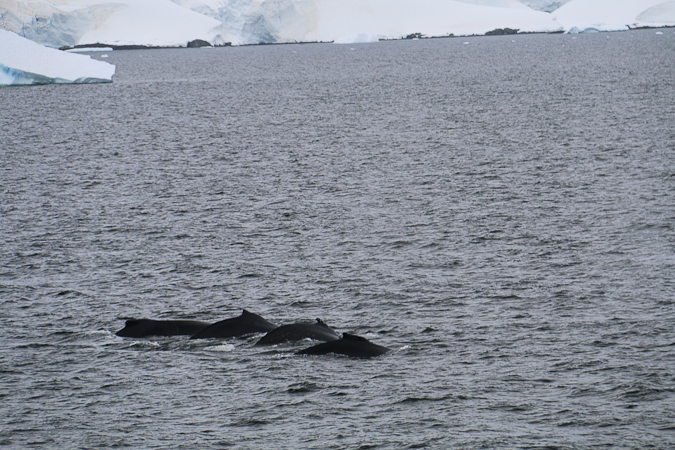 As the afternoon progressed, with our location very approximately somewhere around S 64°30′ W 62°10′, we were treated to the sight of about 12 humpback whales, in groups of three or four. 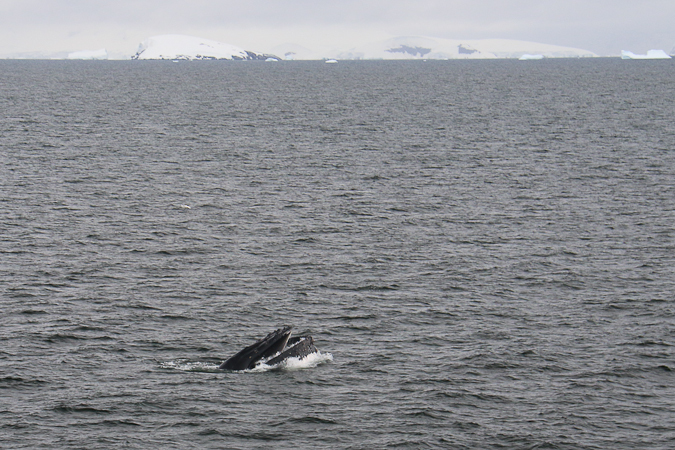 Some of them were “bubble-net feeding”, where they produce clouds of bubbles that trap krill into more densely packed regions, allowing them to feed more efficiently. 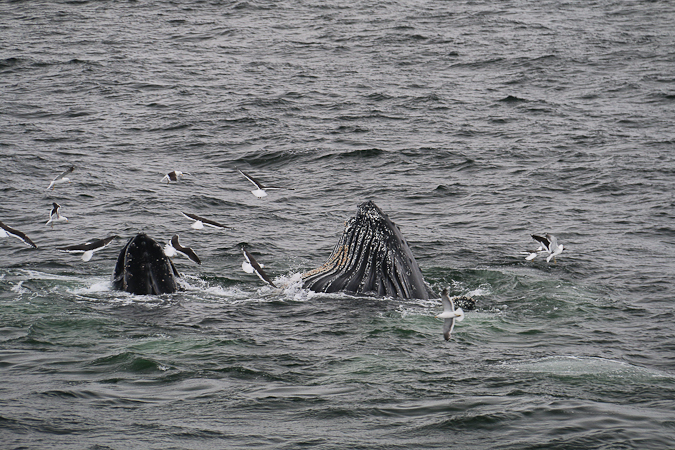 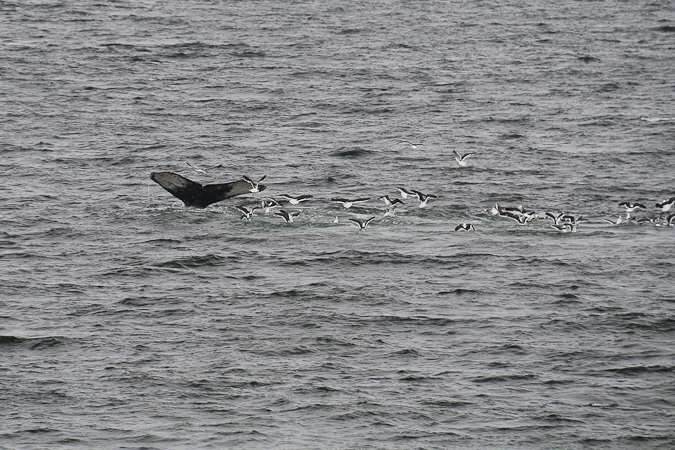 One of the big clues that a feeding frenzy was going on was the flocks of gulls taking advantage of the whales’ efforts. 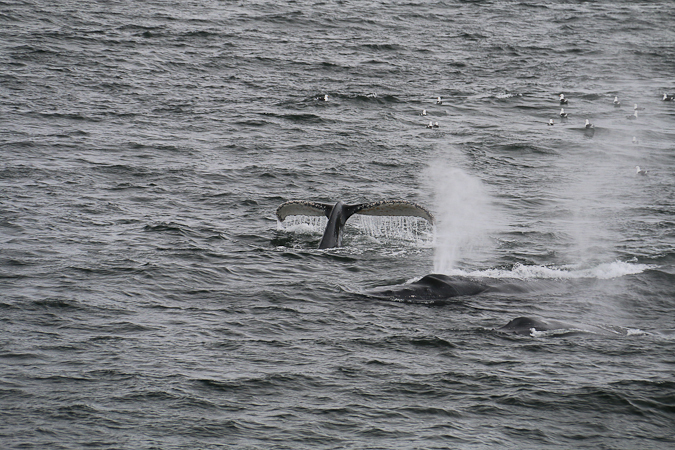 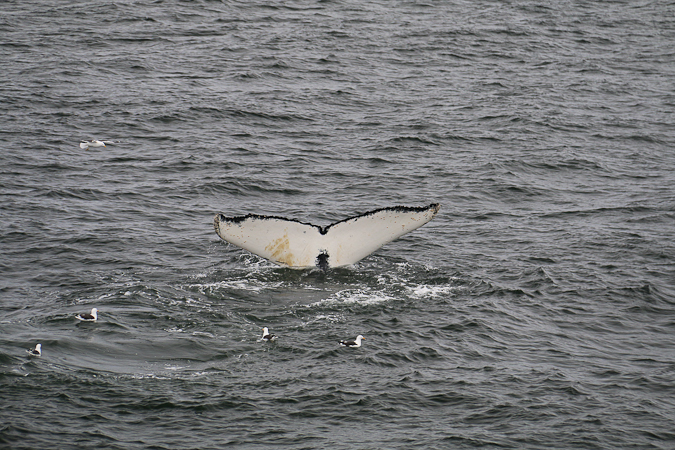 We saw plenty of blowing of spouts, and displays of tails, although no breaches or significant tail-slapping manouevres. 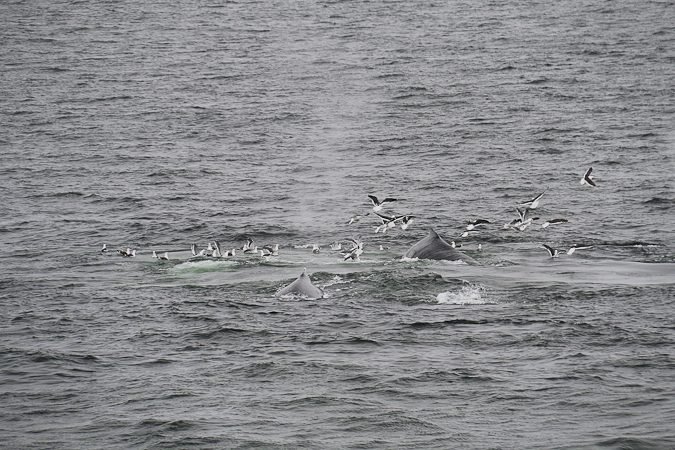 Occasionally we could make out heads coming up to filter their food, and there was plenty of excitement and anticipation aboard the ship as we tried to guess where we would see a group appear or reappear, all the while hoping that they would do something really spectacular (never mind the fact that there were so many of them, which was remarkable in itself). 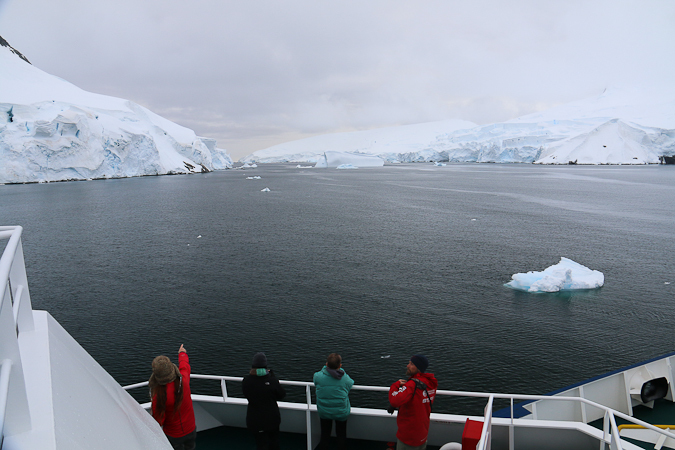 The captain did a great job keeping us in view of the groups without actually harassing them. 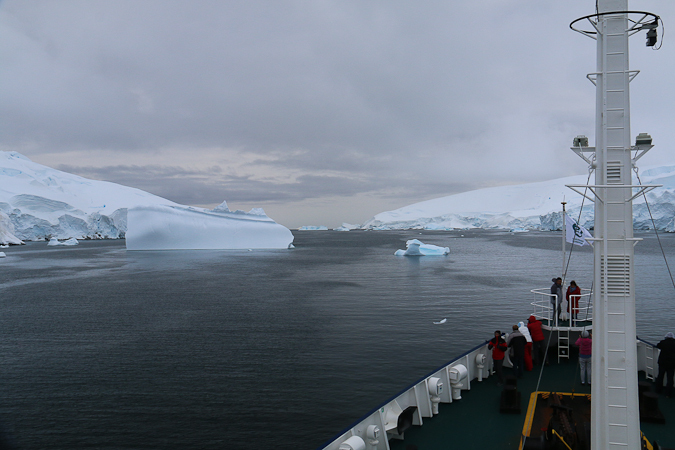 Further northward we took a detour through Graham Passage. 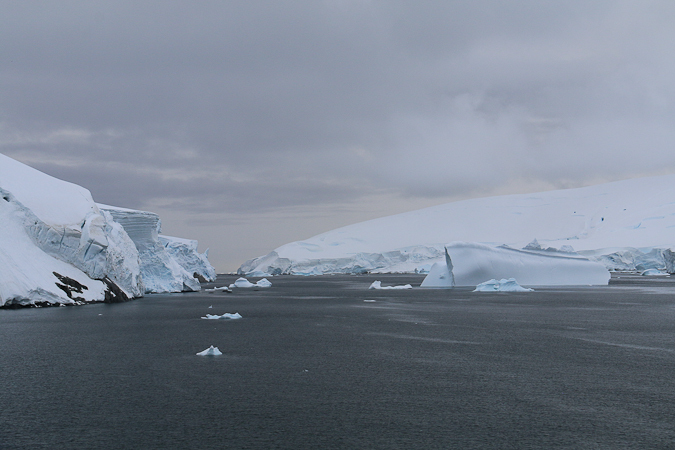 This is a fairly narrow channel than runs east of Murray/Bluff Island (S 64°24′ W 61°29′), which is, in turn, east of Brabant Island (unfortunately, it didn’t quite make it onto the maps I included in this post). 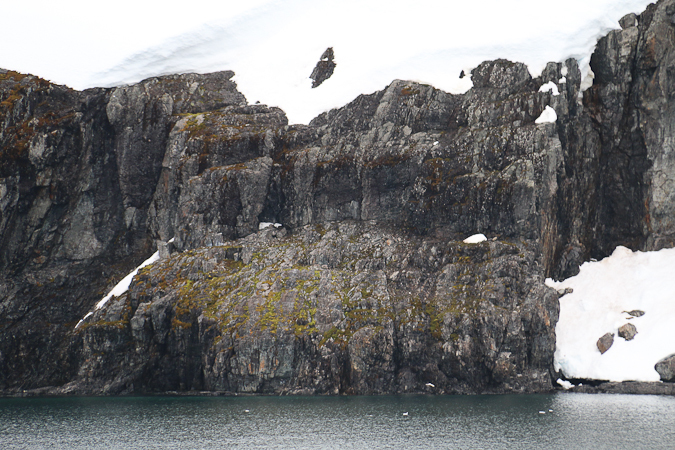 As we made our way along the passage we got to see some rare patches of green, with some moss growing on the cliffs. 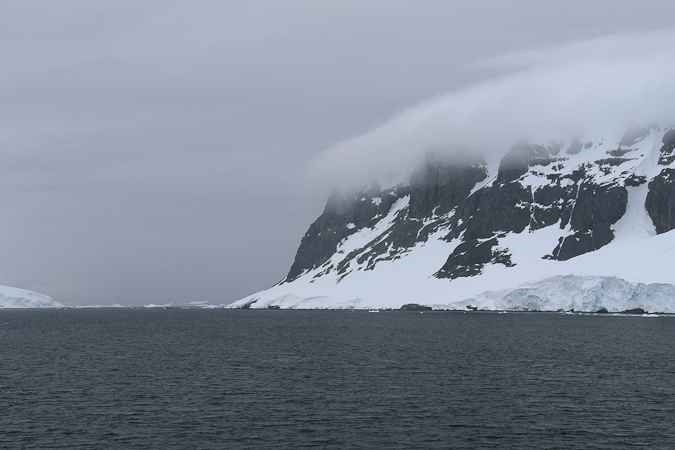 There are quite a few mosses and lichens in Antarctica; flowering plants are, however, much rarer. 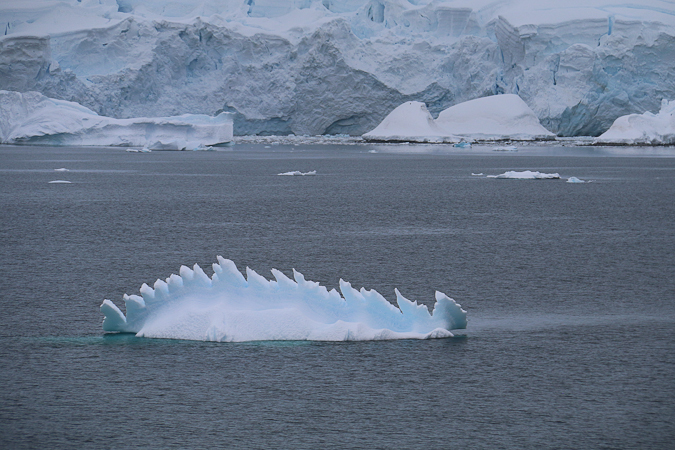 There were ice caves beneath the glaciers, and an iceberg with a very strong resemblance to a stegosaurus. 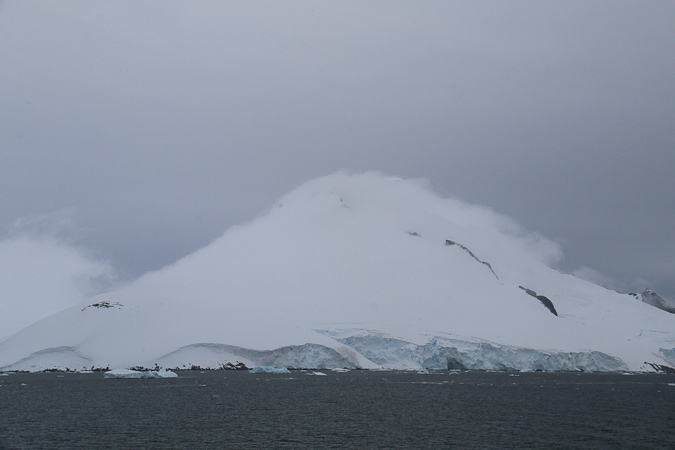 There were a few interesting iceberg structures that we got to see up close, thanks to the close confines of the channel. 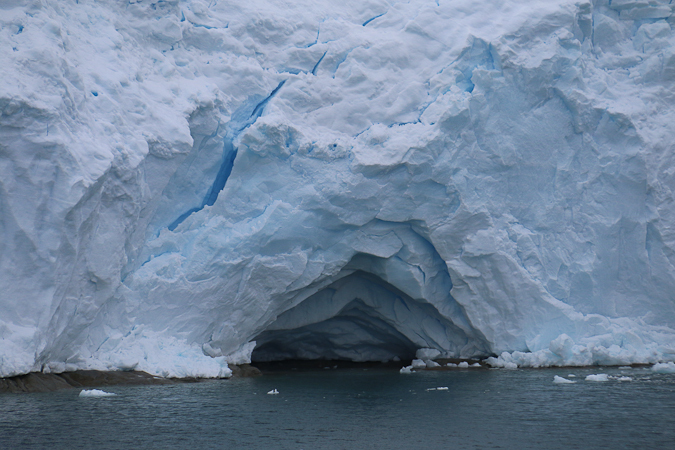 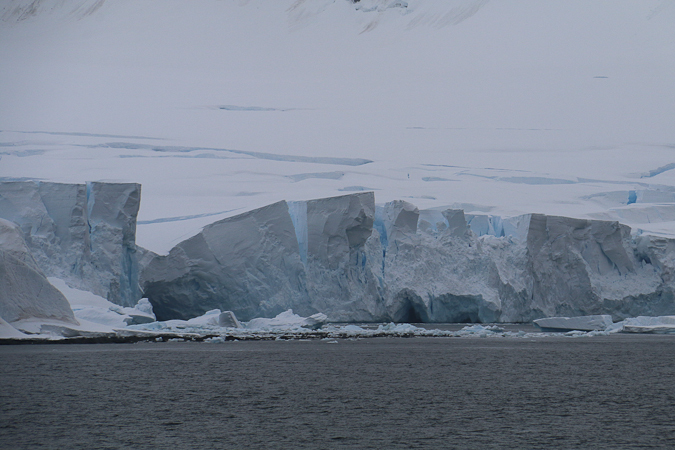 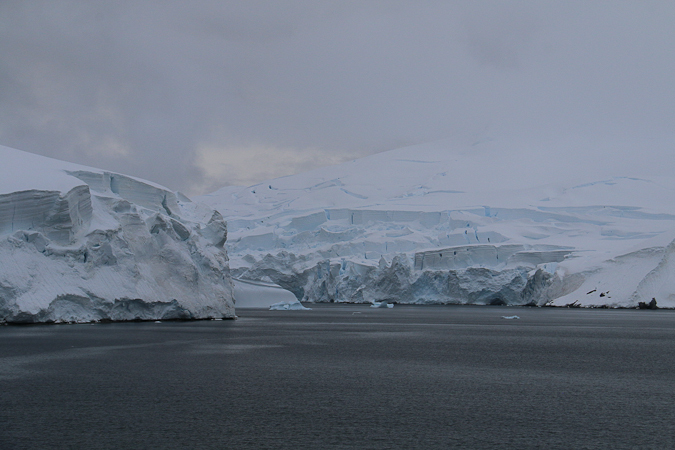 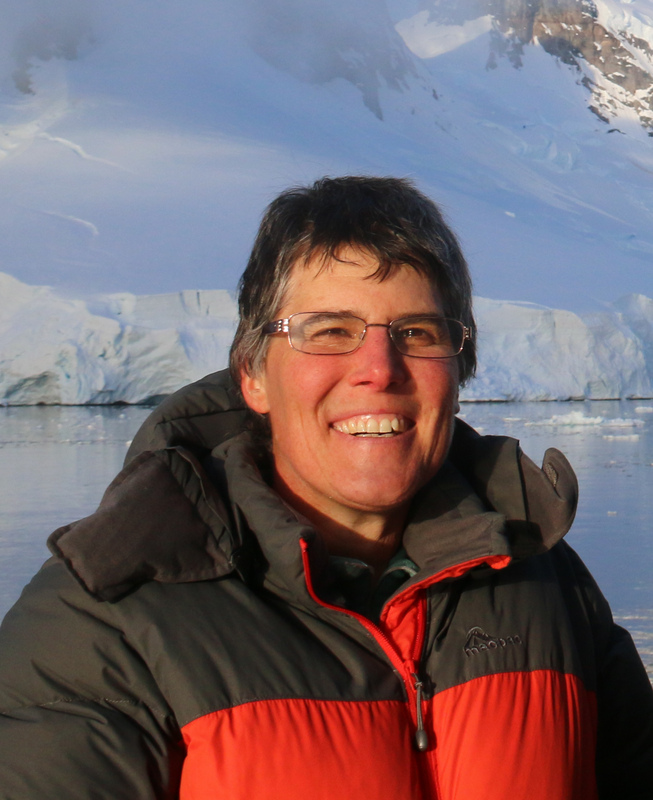 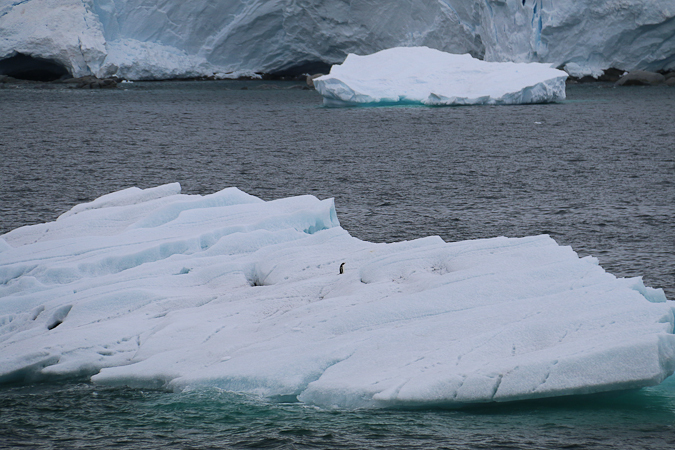 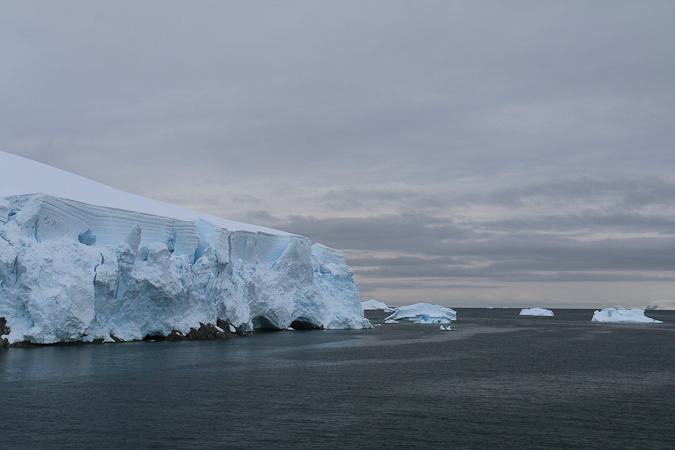 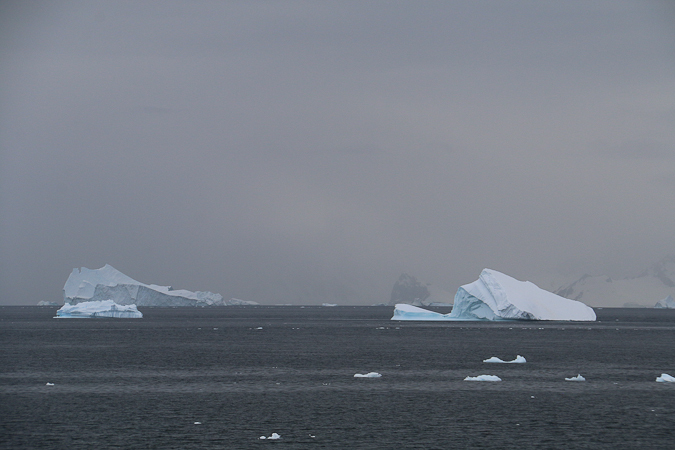 One of the icebergs (the last photo below) had a lone Gentoo standing forlornly in the middle. 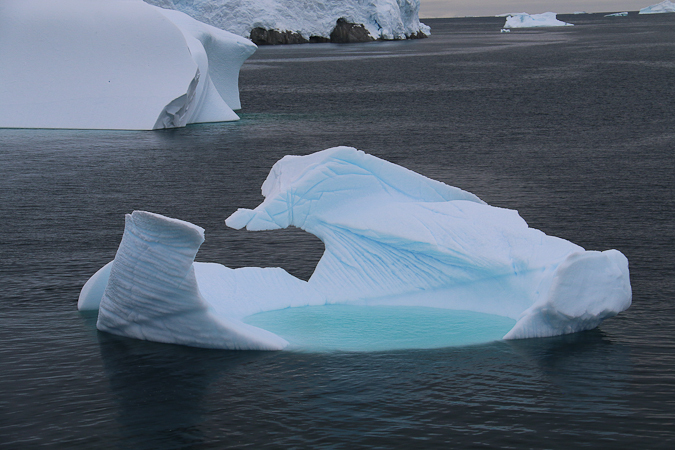 Isn’t it interesting how my choice of words makes you feel sorry for its seemingly marooned status … until you remember — if you had forgotten — that the thing is quite at home here and perfectly capable of swimming off wherever it wants! 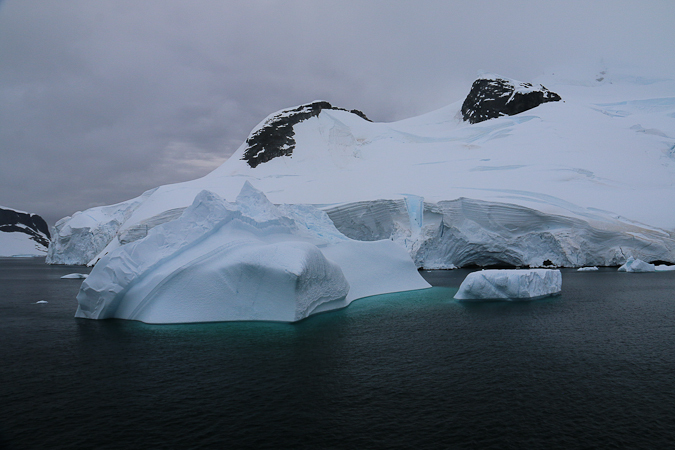 And shortly after these photos were taken, afternoon turned into Christmas eve proper.